On 26.09.2011, the Ghana Football Association published the squads for the GLO Premier League 2011-2012. 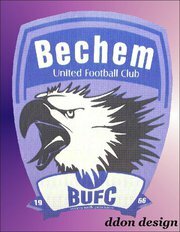 In this post, I will make some comments about one of the newly promoted clubs, Bechem United FC. I also known that Yusif Ali, Evans Osei and Gabriel Osei played important roles last season. Confusingly, Bechem United FC also has an experienced goalkeeper called Ransford Cudjoe, mostly referred to a Ransford Kudjoe. Kudjoe will most likely be number one this season, unless Maxwell Fiifi Eshun is preferred. Right-back Maxwell Mensah, formerly of Liberty Professionals FC and Hearts of Oak SC, should become a key player. Defender Agyemang Asante, who was part of the Ghana U-17 national football team in 2010 and had trials at UC Sampdoria and ACF Fiorentina in 2009. Definitely a player to watch. Teenage midfielder Princebell Addico was also part of the the Ghana U-17 national football team in 2010 and had a stint at Parma FC in earlier this year. I believe that Peter Essien is a former player of Hasaacas FC. There are not many players in the published squad who has top level experience and I was not surprised to read that Bechem United FC recently signed lanky striker Eric Fordjour, formerly of New Edubiase United FC and AshantiGold SC. Fordjour should become a key striker at the club. Bechem United FC has also been linked to three players of Asante Kotoko FC; goalkeeper George Arthur (born 16.03.1987), hard-working midfielder Abdul Ganiyu Haruna (born 23.10.1987) and experienced defender Umar Gariba (born 27.01.1986). As far as I know, no deals have yet materialized. Bechem United FC has lost some players that were important during the promotion season, including attacking midfielder Emmanuel Allan (born 09.06.1986) who is back at Aduana Stars FC, and their top striker Mustapha Mumuni who joined top club Asante Kotoko FC. There are more than twenty players in the squad that I cannot identify but I have a theory that “Akwasi Adu” is the former left-winger of Kessben FC, born 14.07.1989, that “Abdul Rahman Fuseini” is the former player of Tarkwa United FC and King Faisal Babes FC, born 10.06.1989 and that “Kwaku Sarpong” is the attacker who played for Mighty Jets FC last season, born 14.09.1989. Abdulai Seiba, Isaac Abu, Boakye Bernard Addei, Emmanuel Asante, Akwasi Adu, Opoku Atahuene, Kwabena Barney, Abdul Rahman Fuseini, Ahmed Ibrahim, Michael Kusi, Yaw Mensah, Yakubu Moro, Patrick Opoku, Daniel Obeng, Bismark Yaw Osei, Tofik Osman, Ibrahim Saddiq, Alimeyaw Salifu, Kwaku Sarpong, A.K. Schoobe, Bismark Yeboah, Manuel Yeboah, Santa Cruz Aban Yemoh.